Wine…is a beverage ─ nothing more, right? So why are there, for example, thousands of wine websites, dozens of wine magazines, and hundreds of wine books? You don’t find this kind of media or cultural phenomenon surrounding beer…or even distilled spirits. College football, maybe…but I doubt it. Wine writers love to tell you that wine has been around since time immemorial. 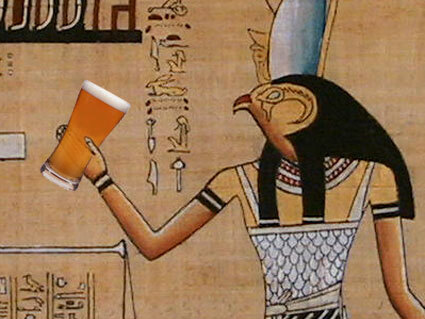 But so has beer – the ancient Egyptians brewed it – yet beer doesn’t offer a fraction of the mystique as does wine. To many people, too, beer is not a socially “graceful” beverage like wine. 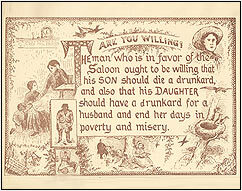 And distilled spirits – “hard liquor” – while popular, just don’t appeal to a large segment of the population. Wine alone seems to have a charm and provide an air of “élan” that other beverages lack. There are a lot of differing views about this, not least from the people who themselves make and sell it. Fred Franzia, the irascible millionaire and father of the infamous “Two-buck Chuck” has been called “the scourge of Napa Valley.” He believe that the wine industry has become intoxicated by elitism, inflated prices, and its own PR about Terroir ─ the idea that a wine is uniquely a product of the soil and climate where the grapes are grown, and by extension that some places and some wines are far better than others. But Franzia’s company Bronco (fitting if you see the man) is now the fourth-largest producer in the U.S., and therefore he’s reaching somebody’s palates to be sure. Are the wine snobs wrong and Franzia right? Neither, I say. There is a lot of elitism in the wine world – and some, sadly, in the trade – a belief that people who drink it are somehow better than others who don’t. There are also those who turn up their noses at a fabulous $14 New Zealand Sauvignon Blanc with a Stelvin (screw-cap) closure, haughtily preferring instead a $40 Sancerre or White Bordeaux with a traditional cork even if the NZ wine is superior. Or even if it’s not arguably “superior,” millions (including me) may simply find the South Pacific version more “enjoyable.” Yet I’ve just found an article on Slate whose writer’s nose is so high in the air he must register it with the FAA. Of course, he’s entitled to his opinion, if even he denigrates an entire spectrum of wine. The point is that pretentiousness and snobbery are paid-up participants in the world of wine. I will add, though, that one of my mottoes is “Nobody should drink bad wine.” I used to say “nobody should drink cheap wine” but I’ve learned a bit over the last few years and no longer cling to that particular prejudice (there are no many others to choose from). To those who say “wine is just a beverage” I say “True” but only in the literal sense. Wine can multiply the pleasure of the food you eat, or turn an ordinary meal into something special. 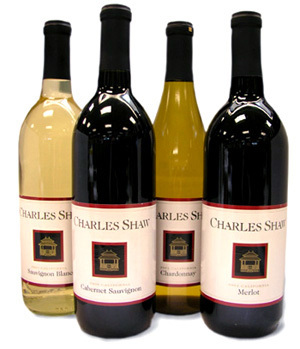 Wine makes a marvelous gift, and one that can be had quickly and with virtually no planning. Depending on what’s in the bottle and how it is stored, wine can keep for years or decades, and many wines grow in value as they age. Very few people re-gift a good bottle of wine…except perhaps on Seinfeld. Wine is also good for you. The University of Bordeaux, in a carefully controlled “cohort” study, found that moderate wine consumption (2-3 glasses a day) was associated with a 30% reduction in the death rate from all causes; a 35% percent reduction in death rates from cardiovascular disease; and an 18-24% reduction in death rates from cancer. Many other studies confirm this…and I don’t care what that woman from the Woman’s Christian Temperance Union says, although I wish she’d put down that .357!